Click on an image to view a larger version. All of these images and more are available to download in high resolution from the ALVA image library. Southbank Centre passionately believes the arts have the power to transform lives. We also believe that the arts must be available to all of us and this lies at the heart of all we do. Southbank Centre is a world-famous arts centre on the South Bank of the Thames. Created in 1951 for the Festival of Britain, Southbank Centre draws on its heritage as a festival site, with art and activities inside and outside. We encourage everyone to become involved in the arts in new and creative ways. We offer a wide range of cultural events. See music, dance, art, performance and spoken word events throughout the year. Take part in free activities and events and enjoy a wide range of restaurants, cafes and shops. Every year, thousands of musicians and artists perform to millions of visitors, making this one of the most popular cultural destinations in the country. We hold different festivals throughout the year. We are committed to working with young, emerging and established talent across the artistic community. We currently support four Resident Orchestras, 14 Artists in Residence and over 100 other artistic organisations. We manage the Arts Council Collection on behalf of Arts Council England and curate the Hayward Touring Exhibition programme in venues throughout the UK. Southbank Centre occupies a 21-acre site in the midst of London's vibrant cultural quarter on the South Bank of the Thames. 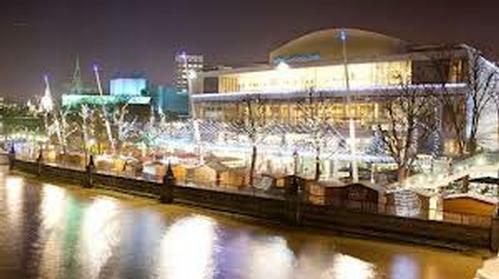 Southbank Centre includes Royal Festival Hall, Queen Elizabeth Hall, Purcell Room, the Hayward Gallery, and the Saison Poetry Library. As well as these venues, there are restaurants, cafes, bars and shops to enjoy. All of these images and more are available to download in high resolution from the ALVA image library.